shinto:Jyosaku ranking: Wazamono cutting test ranking. Blade length :　70.6　cm or 27.79 inches. Sori :1.06 cm or 0.41 inches. 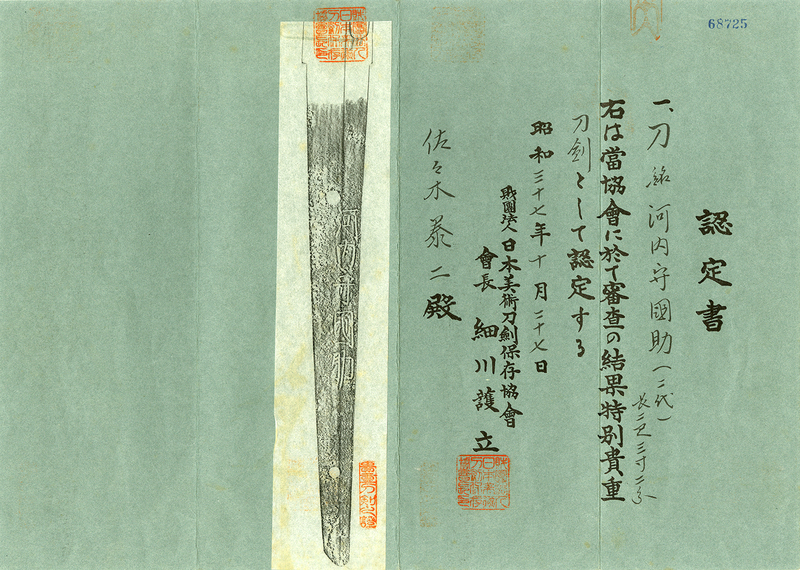 Width at the hamachi : 3.19cm or 1.25 inches. The blade is engraved bo-hi on both sides of the blade. Jigane :Koitame hada well grained with jinie attach beautiful clear oosaka jigane. Kobushi cyoji midare mixed soft Habuchi. 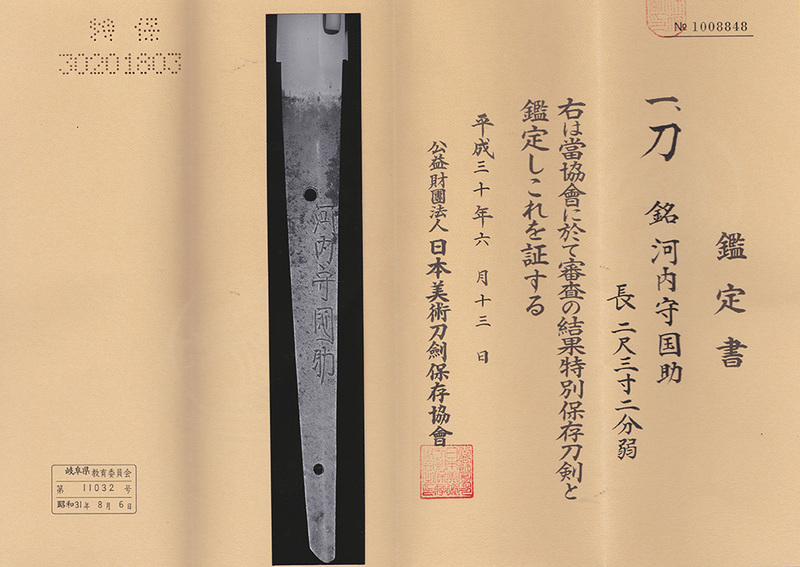 Kunisuke’s sword has a tendency curved slightly. the rim is covered by gold color fukurin. Menuki : On the syakudo plate, a samurai is engraved with gold color. and men are engraved with gild color. and soft feeling nioikuchi hamon. Recently it is rather difficult to look for 2nd generation Kunisuke. The Koshirae is nice and beautiful.